At the start of every summer, I imagine that somehow the three months of the season will magically last longer than the other months and we will have endless lazy days at home. In my fantasy, our home is always clean and the kids never complain or fight or tell me they're bored or ask for snacks every three minutes. Obviously, this never happens. 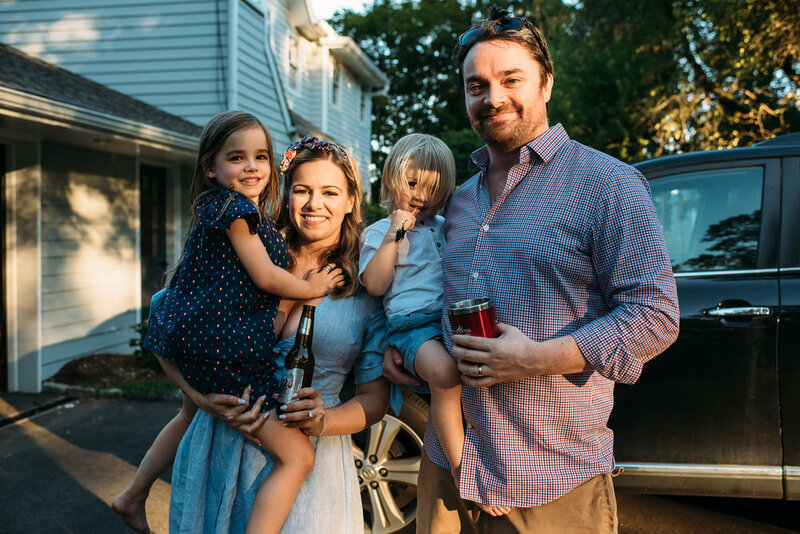 But there is definitely something special about summer and those beautiful long evenings and I recently had the pleasure of spending one with a really fun family in Wilton, CT. 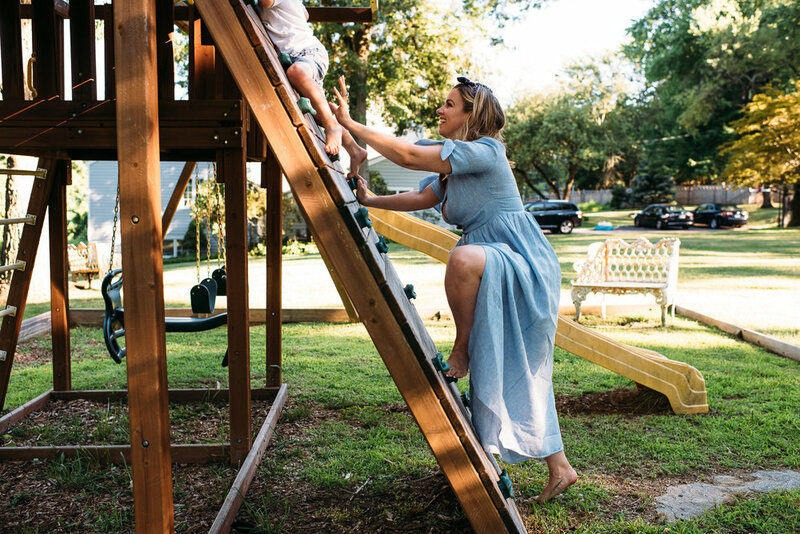 I've partnered with Fairfield County Moms Blog to photograph the normal evening routines of their contributors. 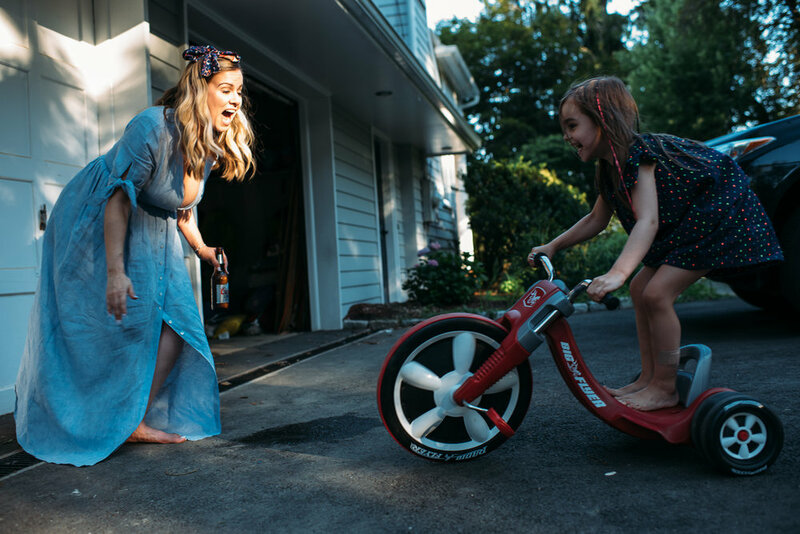 As a photographer, evenings are a goldmine for capturing fun, real moments. As a mom, it's SO great to be able to observe different families and see (and learn from!) the different ways moms deal with the struggles we all have around the end of the day and dinner time. 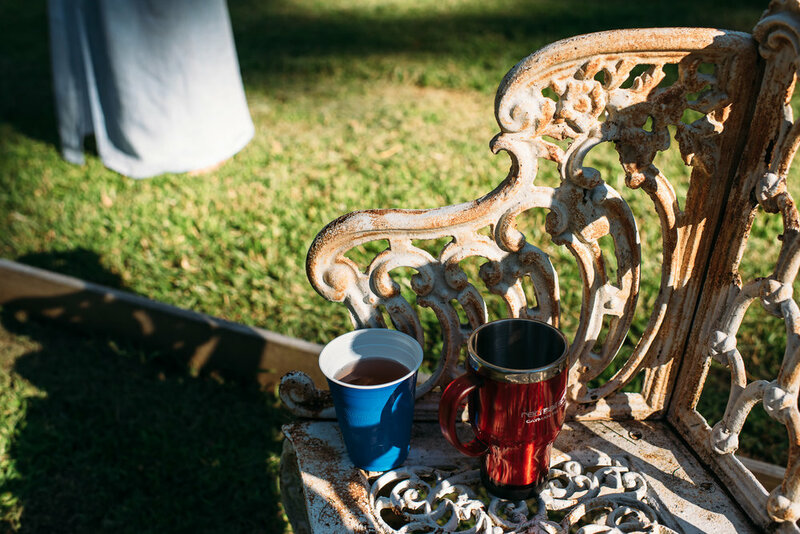 The first in this photo essay series is up on their blog -- go check it out! The Foleys may not realize it yet, but they are going to be our new best friends. Such a fun family! Seasons change (as I'm writing about this gorgeous summer evening, it's chilly and rainy and windy out!) and kids grow and routines evolve. I want to document YOUR current every day life. Contact me to book your own session!